Meena was just a tiny baby when she was rescued along with her mom and litter-mates in June of this year. Realizing that the mom was struggling and too malnourished to care for her babies properly, a kind person contacted us for help. 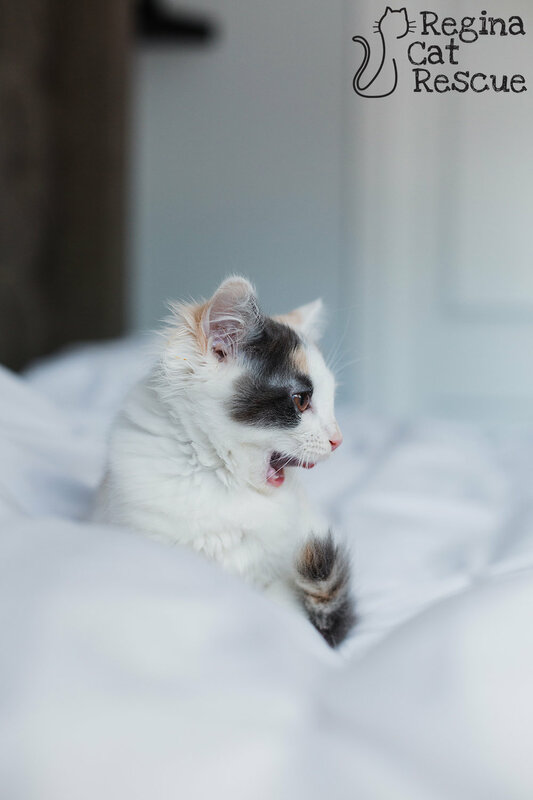 Once in foster care, the family of cats thrived. 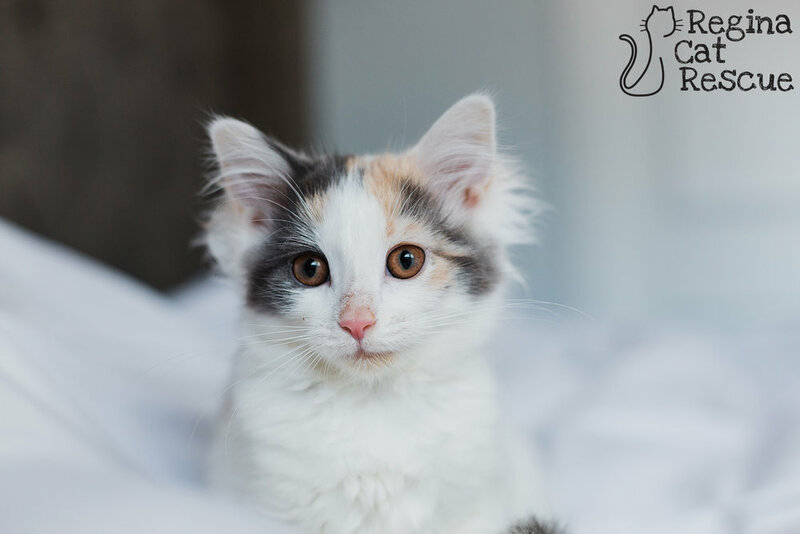 Meena is a friendly, playful and loving kitten who adjusted well to life in her busy foster home. She gets along well with other pets, is good with kids, and she brings a smile to the face of everyone she meets. She is an ideal family pet and can be with other pets or on her own. 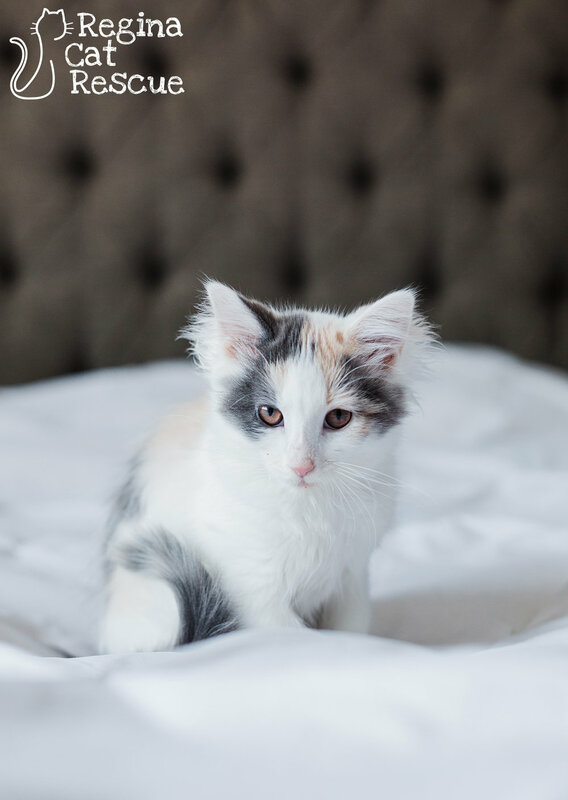 If her beautiful dilute markings and super soft fur don't win you over, her loving personality will. 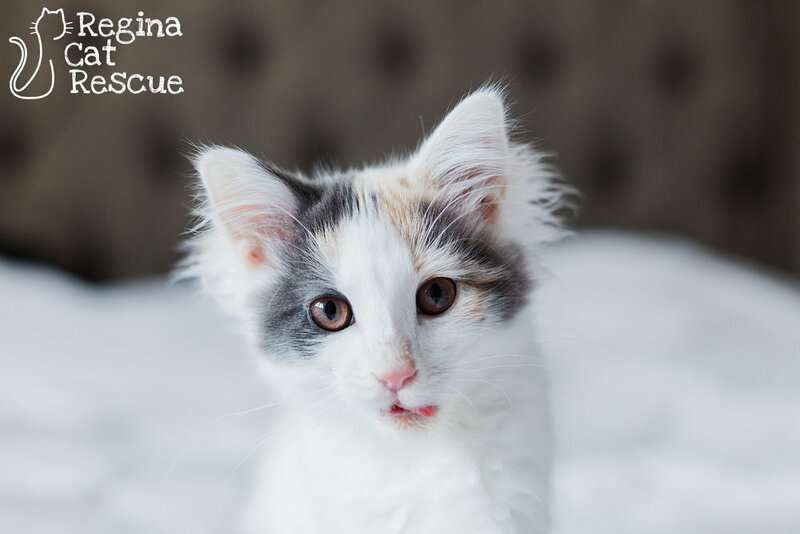 If you are interested in Meena, click here to view our adoption contract and click here to complete an adoption application or email the RCR Adoption Coordinator at adoptions@reginacatrescue.com for more info.